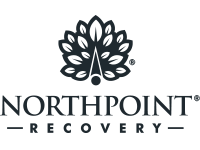 Our Alcohol & Drug Rehab Program has proven to be effective in helping hundreds of people just like you to recover from addiction and live normal sober lives. View our addiction recovery stats. You´ll stay at our residential facility for 28 days and receive both detox and rehab treatment. We´ll customize your treatment to address every aspect of your addiction. Both the physical dependence that causes withdrawal and the underlying psychological conditions at the root of your addiction will be addressed. Awesome staff! People are so caring there. The techs and nurses are wonderful - so caring and knowledgeable - they took great care of me and taught me so many things about recovery. I wouldn’t have made it this far with out them I’m so grateful for all there hard work and patience they have towards me. Thank you guys - love you all! If you want to change your life I definitely recommend going to Northpoint. I never thought treatment would work or that it was for me, I was a huge skeptic. But the program works! The staff is great, facility is clean, and I couldn’t imagine getting clean and sober anywhere else! How Much Does Inpatient Treatment Cost?